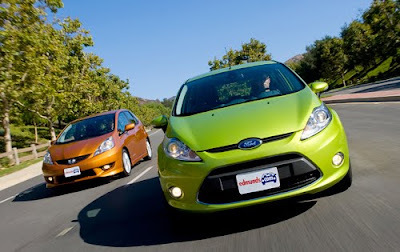 Edmunds has done a head-to-head comparison test of the 2009 Ford Fiesta (Euro spec, of course) and the USDM Honda Fit. There will probably be a lot of people cross shopping the Fiesta and the Fit, so this is a good comparison! Photo from Edmunds.com. Yeah. It's a good comparison. But why doesn't Edmund's compare the Hyundai Accent SE hatchback against these cars? 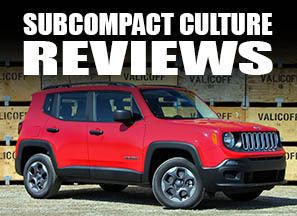 They, like Motor Trend, only seem interested in comparing the BASE Accent to other cars. The SE hatchback is an obvious choice to compare against the Fit or Fiesta... but no one seems interested in doing that. Are they afraid the lowly Accent SE might actually look good in such a comparo? I already know the Accent can equal or surpass the posted 0-60 times, and the quarter mile times of these two cars. I expect it would hold it's on the skidpad and in braking tests as well. Apparently the superior warranty does carry much weight, not as much as the "glamour" factor anyway. The Fit and Fiesta in this article were 2009s, and both the new bodystyles. I have a feeling when the Accent gets refreshed/redesigned, we'll see more of it. Plus, the Accent doesn't come in a four-door hatchback like these two. 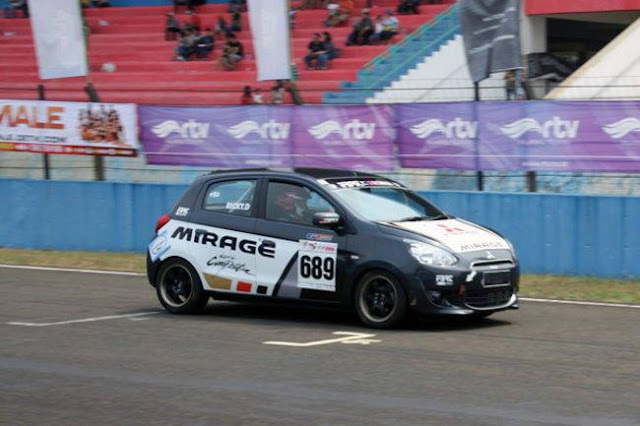 However, the Fit is often looked at as the benchmark in the subcompact class. Rarely do you see comparisons to the Yaris, Rio5, or even the Versa. It's usually the Fit that most journalists look to for automotive comparisons for some reason. You make a good point Thirty-nine, the Accent is a two door. But it's cousin, the Rio5 IS a four-door, and a very cool little hatch, but again largely ignored. I would point out that the Fit, though slightly changed, has been around for years now. It isn't really new. When I was shopping for a car this spring the Fit and the Fiesta were on the list.. with the Hyundai Accent coming last....because I didn't know it was offered in a sport-tuned hatch version. It is considered a competitor to the Fit and Fiesta...regardless of door confirmation. Certainly it is compared against the Fit quite often, and the Yaris as well. As I car buyer, I compared the Fit and Fiesta to the Accent, because they do similar things in similar ways, at the same price mark. JD Powers & Associates gave the Accent "Most reliable subcompact for 2009". So, clearly they didn't see the Fit as "Best in it's class" on that score. The Fit's warranty is certainly not equal to the Accent's either. In any case, my point is that the Accent SE hatch should be included in hatchback comparos, not just the stripped base model.